The Project Loon devices beam signals between each other and to users on the ground. This extends communications networks in places where infrastructure is scarce or has been damaged. The balloons will allow residents with LTE phones to send and receive text messages and access the web. However, much of the country is still without electricity, and more than a quarter of the population lacks safe drinking water. "This is the first time we have used our new machine learning-powered algorithms to keep balloons clustered over Puerto Rico, so we're still learning how best to do this," said head of Project Loon Alastair Westgarth. "As we get more familiar with the constantly shifting winds in this region, we hope to keep the balloons over areas where connectivity is needed for as long as possible." Alphabet launched the balloons in collaboration with the government of Puerto Rico, the US Federal Communications Commission, Federal Aviation Administration, Federal Emergency Management Agency and telecoms firm AT&T. 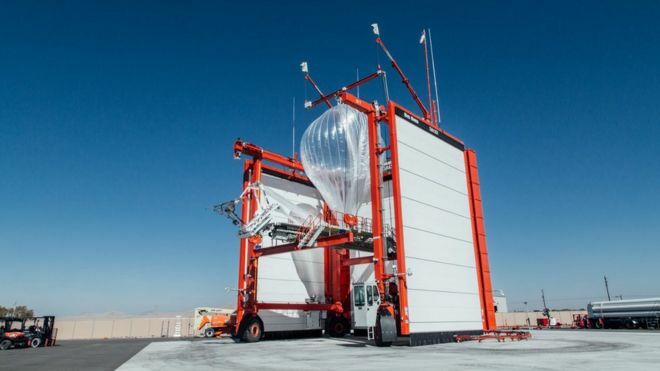 Earlier this year, Alphabet sent its balloons to Peru following serious floods.